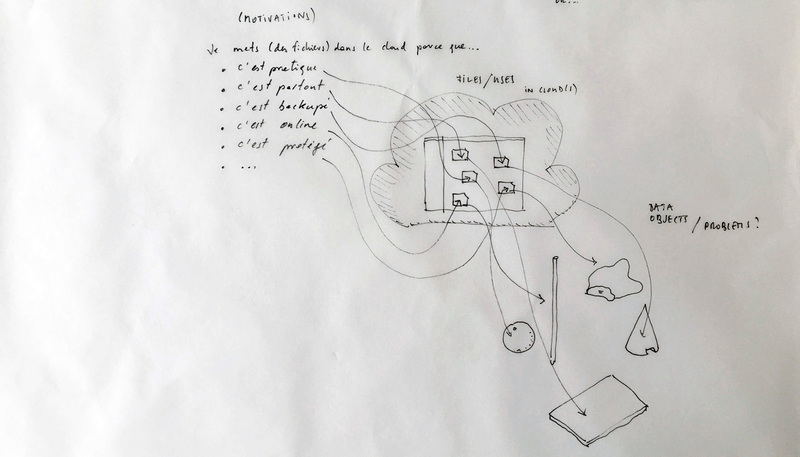 Beside the reflection produced by the overall Inhabiting & Interfacing the Cloud(s) project and the related necessity to provide “access to tools” to a larger community (largely described in the founding document of the project and in a former post about the setting up of this library), new paradigms may arise in the global organization of servers farms. These new paradigms may in return generate new ways to organize files on cloud servers (by a different control of the redundancy principle for example, or a different use of file’s duplication, etc. 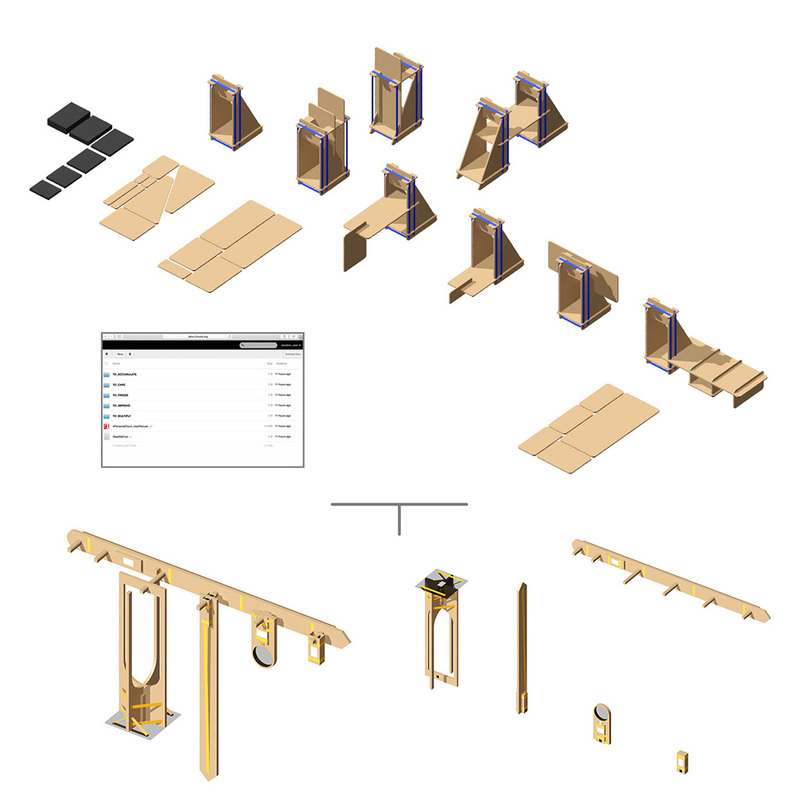 ), allowing for new projects. In order to answer the stakes of the I&IC design research and to prepare such output/proposals, we have developed the OwnCloud Core Processing Library that will allow to setup a software layer on top of the hardware layer. To download and learn how to use the OwnCloud Core Processing Library, we’ve prepared a post in the Cook Books section of this site. We will describe how to use the OwnCloud Core Processing Library within the Processing framework, starting from a blank sketch. Library’s functions will be refined and new ones may be developped, some additional libraries will be added as well in order to propose high level functions deeper linked to the IICloud(s) project. 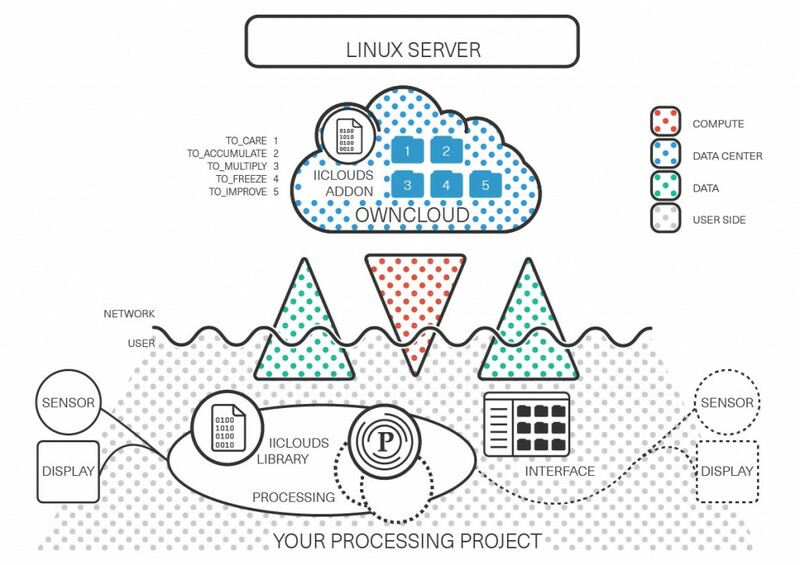 The purpose of the OwnCloud Core Processing Library is to give the possibility to program “cloud functionalities” within a well known and simplified designer oriented programming language (and community): Processing. Therefore, the OwnCloud Core Processing Library linked with our personal cloud merges the Open Collaboration Service (OCS) Share API with higher level functions in order to implement seamlessly “search&share files” applications written in the well known designers oriented Processing programming language. This will soon become available to everyone on the I&IC website. The workshops we are currently running / will run during the coming weeks are helping/will help us fine tune its functionalities. The OwnCloud Core Processing Library allows the automation of the action of sharing files and the action of file tagging within an open source OwnCloud environment. Search&Sharing tasks can be threaded and/or interdependent, everything depending on the kind of results expected from one application to another. Thus, these actions can be driven by unmanned processes, decision-making (copy, delete, share one or several files) based on related metadata (i.e. metadata relation/link) or based on external data, dug from the Internet or networked/connected items/things. 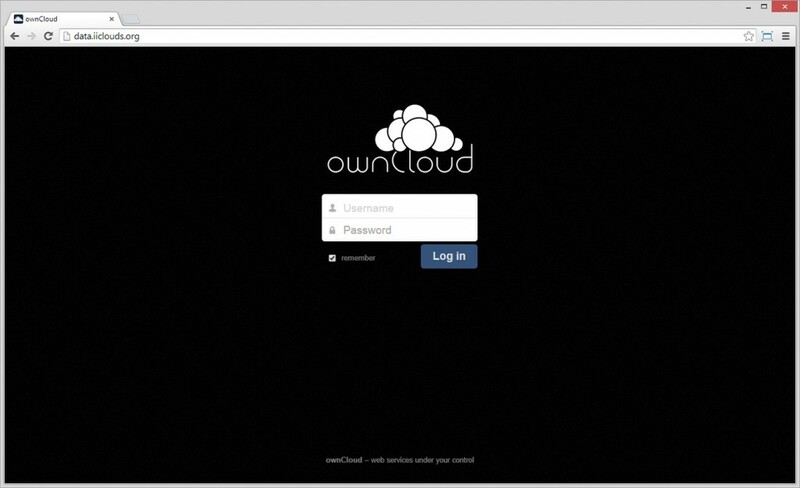 Following Patrick’s post about our different options for choosing a “Cloud” software and the one that we finally made by choosing ownCloud. Here are a few related comments that develop our point of view and technical choices. ArkOs, Openstack and RiakCS all take the hand over an entire server/system/computer, offering a kind of embedded linux system within a human-friendly interface, the kind of mechanism one can find on ready-to-use NAS (Network Attached Storage) hardware. Basically, it transforms any regular computer into a NAS device. One of the key points about the structure we are trying to setup is to be able to host anything we would like/need or may appear interesting to probe. That includes our own website(s), web services in order to feed projects with data and any kind of applications that may be useful to try and develop within the frame of this research. We do need therefore to keep the research server as generic as possible by using a normal linux distribution, which we can then enhance by any set of additional services. While ArkOS, Openstack and RiakCS are of course interesting projects, at some point, it may become already too specific for our goals. Owncloud appears to be a simple web site structure dedicated to file sharing. As mentioned in my previous post, Owncloud proposes a set of APIs that allow the access to Owncloud features while being able to develop our own applications. Thus, these applications can rely on Owncloud while being hosted on a heterogeneous set of devices, network connected.